Here are a few pots that I have purchased recently, for sure the skill of kusamono potters in the West is getting better year on year. 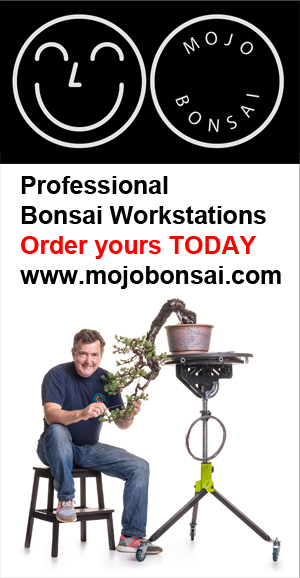 Pots from these potters can be purchased at Bonsai Europa 2017 even though the pots are beautiful, they reach a higher level of beauty when the best plant is paired with the pot. In my constant search of small plant for Kusamono I visited the Royal Botanic Garden Edinburgh last month, The collection of alpines is said to be one of the best in the world. It includes a wide range of plants, from dwarf perennial trees and shrubs to bulbs, succulents and orchids. The Garden’s collection comes from mountainous regions all over the world, from Scotland and the permafrost regions of the Arctic to South Africa and New Zealand. 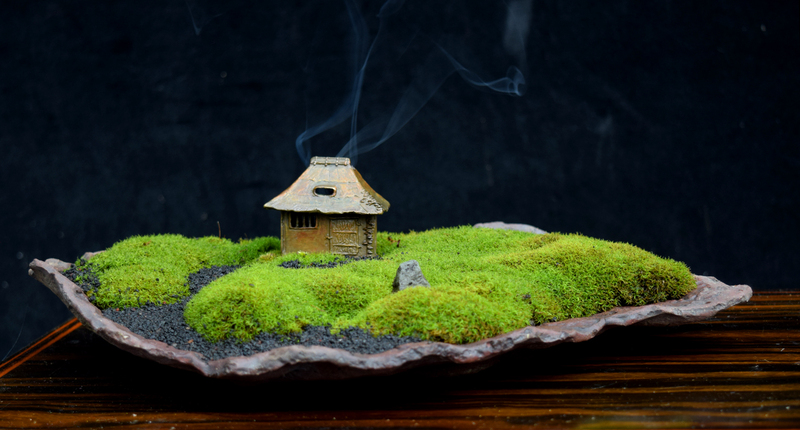 This is the Kusamono that I will be presenting at the Swindon Bonsai Show this weekend, just hope it does not set the smoke alarm off! 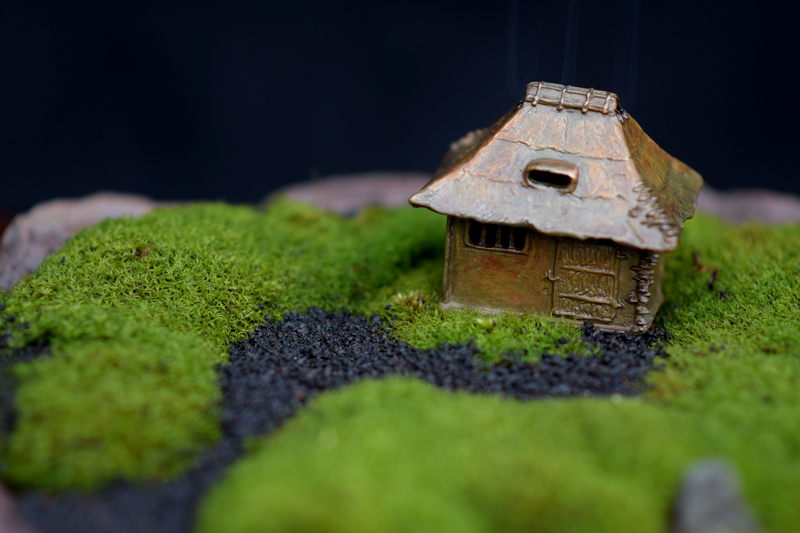 The Bronze teahouse by Henk Fresen is an incense burner. The plate is by Walsall Ceramics and the moss is care of my local wild wood. I have a large collection of dwarf Hostas, these flourish in my rather damp garden, in summer the other Kusamono come into flower and leaf. Here are a few they include Astilbie, Thrift and sedums. Most of the Pots are from my friend Dan Barton but there are pots from Gordon Duffet and many other European Potters.